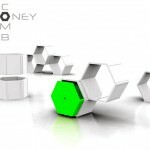 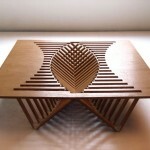 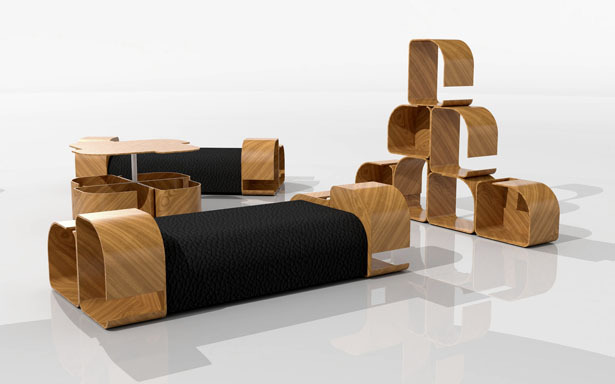 This modular furniture design is made of modular bent laminated wood to furnish an interior space. 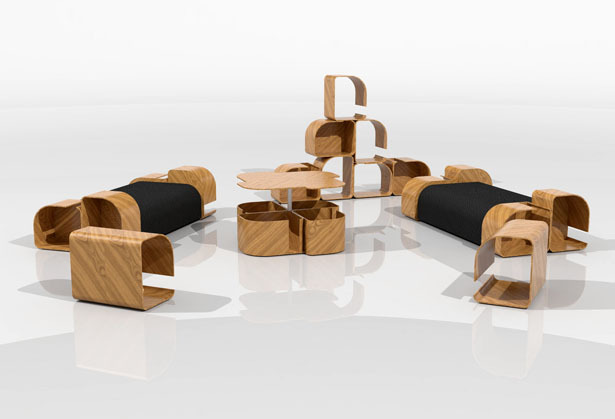 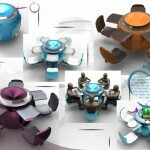 User can design various configurations using these modules, such as a table, sofa, side table, or even a bookshelf. 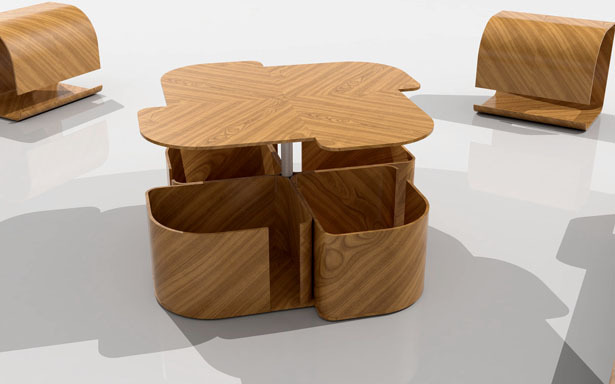 Very smart design, if you take a look at a module of these furniture units, who would have thought you can actually build a bookshelf from these modules. 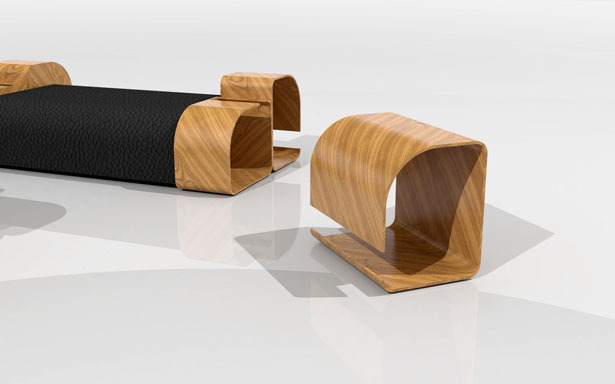 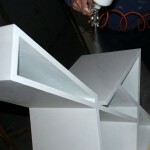 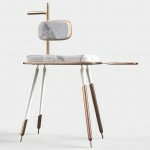 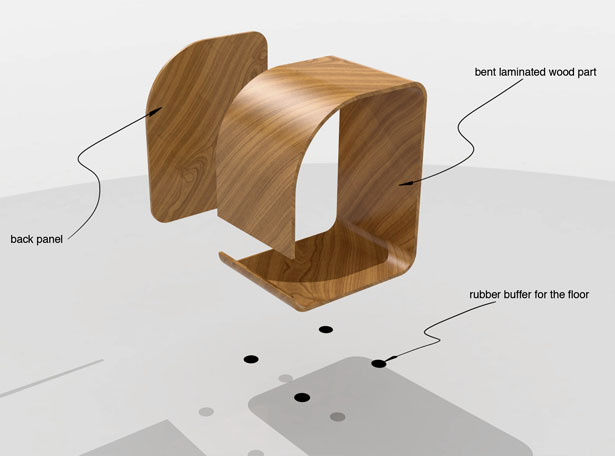 This project goal is to reduce the waste associated with the production of furniture. 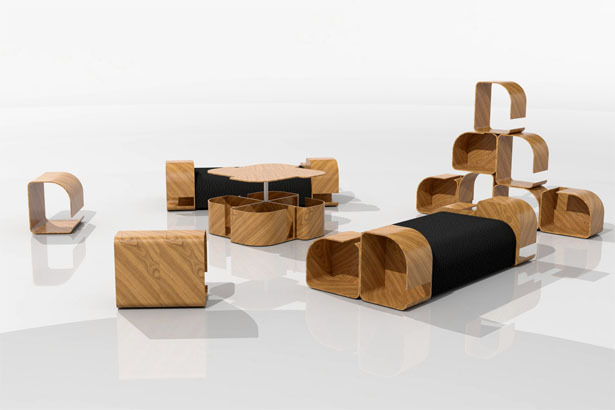 The usage of wood as the material, it’s because wood being a renewable material which result in an environmental conscious design. 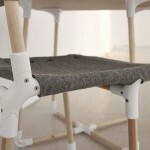 Tagged as bookshelf, conscious design, Furniture, furniture design, laminated wood, look, modular furniture, renewable material, User, wood.